Yes we're about to open!!!! Billboard is up! SNEAK PEEK... yes we're already working on the Darkness Haunt Tour 2019. Started doing drawings today. To say we're ahead of the curve is an understatment considering we haven't even opened yet for 2018. Creepyworld is set to open folks... we're getting closer to opening this baby for Transworld. I'm telling you in 2020 its opening for sure. We're really close to being able to full blown open! If you want to come see it this Halloween get info www.creepyworld.com I'm telling you its the longest haunt in the country. Has everyone been making verticle ads for phones? Here is an example of one of ours. Creepyworld: it is possible I might and i repeat MIGHT open it this coming Transworld show. Just depends but we're looking into it for sure! Darkness re-design is well underway. 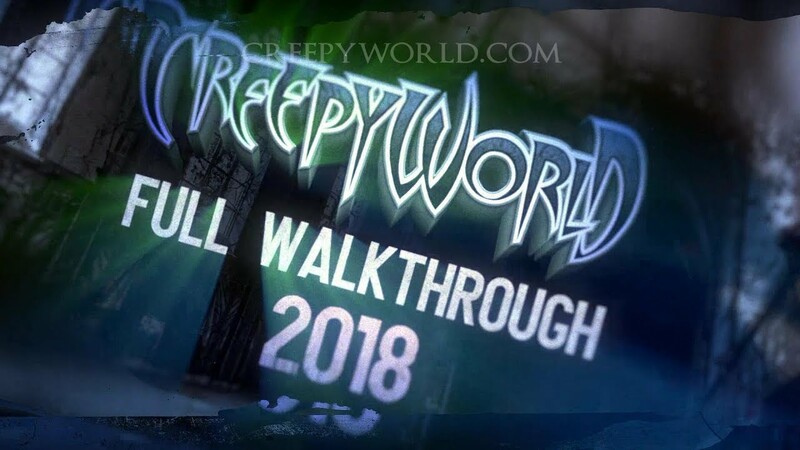 Creepyworld update: Yes its coming! Give me one more year and we'll open Creepyworld. We're moving our graveyard haunt into the middle of another haunt and turning into a recreation of Night of the LIving Dead. This will open up an entire section for a new haunt which we'll build... an Asylum themed attraction. So I could open this year and showcase this haunt but... I'm taking this haunt to Transworld to put on the show floor. Once the show is over then we'll take this haunt to Creepyworld and set it up. Once this is done and one following tweak to everything I will open it... FINALLY. There will be behind the scenes tours, everything. Once I open Creepyworld that will be the FINAL TOUR EVER! I want the Creepyworld tour to be monumental ... I don't want one single person who owns a SCREAMPARK to say anything but its the biggest, longest, and best one they've ever seen. I don't want to disappoint and I know I'm only going to do it ONCE so I want to BLOW IT OUT! 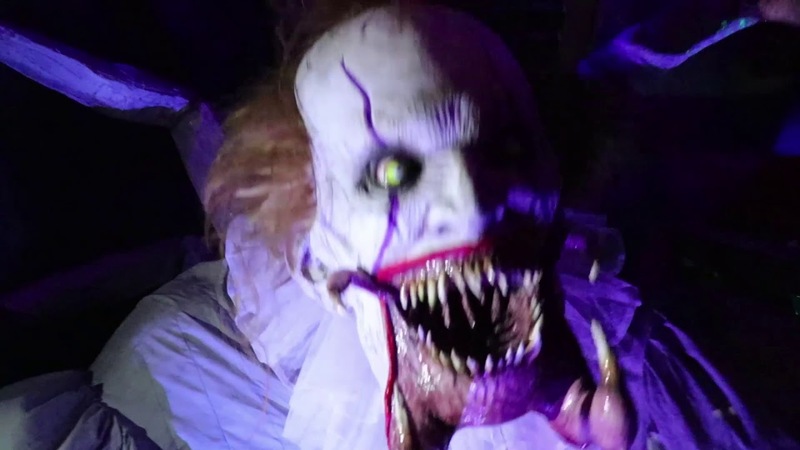 The things i need to work on a bit more are the midway, build two new haunts, improve our 3D which just isn't up to par, add a few more FX to the Hayride such as flying actors stuff like that. Once I get all this done we'll roll. 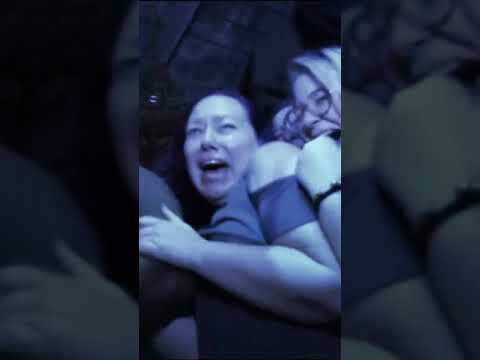 Creepyworld as it stands RIGHT NOW is one of the 10 best screamparks but I want you to say NO WAY... that is my goal. I'll reach that for 2020 Transworld. That will be my very last tour. Go out with a bang. In the meantime we'll re-open Darkness and Lemp. We're going to fine tune Lemp and build a big time scene at Darkness that will be breath taking. Furthermore we'll have a new escape room. 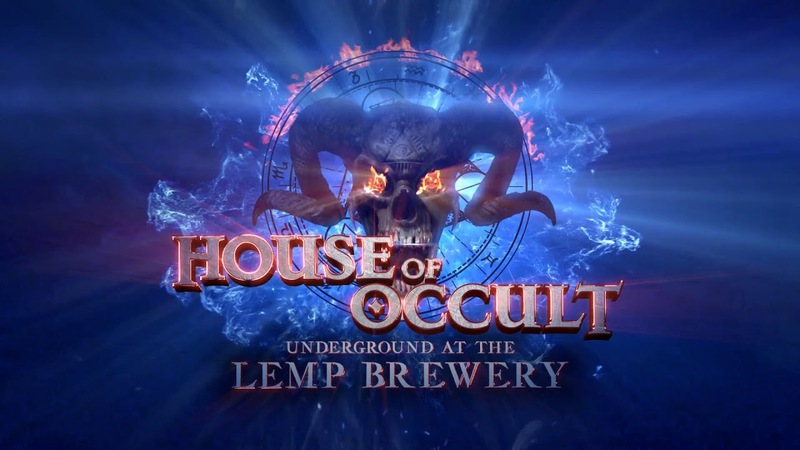 March 22nd - (Friday) Lemp Haunted House with actors 7 to 9 pm - Last year we rebuild the Lemp this year we'll fine tune it and make it more detailed. March 23rd - (Saturday) Darkness Haunted House tour with The Hive Zombie Haunt - Live with actors. See the latest scenes and screams. As usually we'll put all the tickets onsale starting Jan 2019. Lemp: Last year we spent a lot of time rebuilding the entire attraction. Now we'll spend more time working on the sets and scenes. There will be a lot of new scenes. Darkness: We're tearing out the biggest scene in the entire Darkness (Jungle Room) and creating something called Skull Kingdom. We're working with Unit 70 to create all the new props and animations. This will be the biggest set we've ever created and will feature like 5 new animations, a swinging bridge, flying rig for an actor, and never before scene animations that you'll have to see to believe. Furthermore you'll see our new gift store which we totally rebuilt since Transworld last year. Our gift store is going to make us $30,000 so you'll get to see that. We're also changing out an entire scene upstairs as well... since we created the new sewer section the old sewer scene must go. So it will go! Looks awesome Larry! Thanks for the tour for us guys that cant make it by. So here we go... and before we go I want to mention almost all updates will only be here. I plan on posting some youtube videos of everything we're doing. Secondly, I want to mention again we will open Creepyworld in 2020. We're building a haunted house on the showroom floor for Transworld I hope!!! Time permitting. That haunted house is going to end up at Creepyworld we already cleared a space for it. We will start shooting CGI FX for it in a couple weeks. I already met with Bo from Unit 70 in person he's making all the props for it and these will be the best ones we've ever done. Once this is installed at Creepyworld and a few other things are done there that will be done this SUMMER... we'll open Creepyworld. I'm just saying way in advance it will be $100 per person. We will also limit it to 1000 tickets, and there will also be a behind the scenes tour. 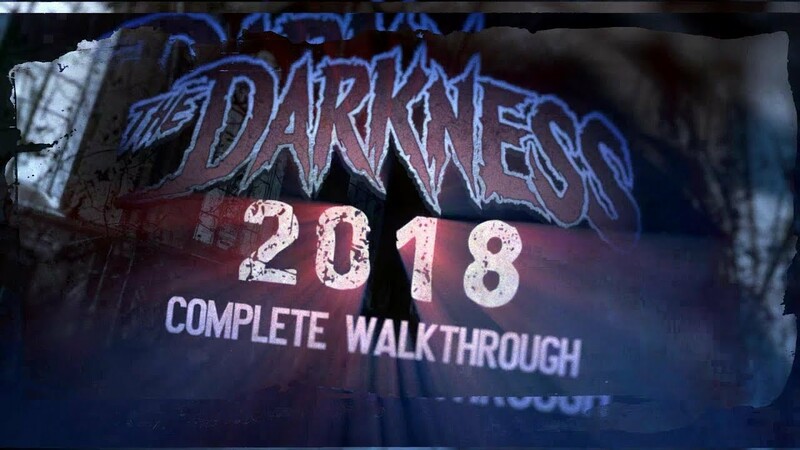 Now onto Darkness 2019... why go again I know right? Well we're doing FOUR BIG THINGS and they will be worthy of your attendance. 1) We're building a new Escape Room: Pirates Curse. We will offer you a behind the scenes tour of this escape room during our behind the scenes tour. I won't open this room up for bookings until closer to the show just so I know for sure it will be done. It will be a three room escape room about 400 square feet. It will feature CGI FX, Amazing detail as always, Waterfalls and much more. We're starting on it TODAY! We won't be working on Darkness until we have the Escape room underway. Stay on the escape room we have re-done the lobby, we've added pre-shows to all of our escape rooms, and totally re-did the puzzles for nearly every game. We also created a new lobby with a pre-show there as well, plus added 9 pinball games. So when you see it basically its all-new. Since you attended last year most of the puzzles in the cellar are brand new and several in the hotel and mummy. 2) Darkness Horror Museum: Since you showed up last year we've rebuilt our gift store and it was amazing for us this past year pulling in nearly $40k. We've also added 8 HORROR themed games, pinballs and more. So this is something to see the lobby also NOW features several PHOTO OPS, SNAP CHAT CODES and more. You can see this if you attend. 3) Terror Visions: We're adding some new artwork and a big giant animation from Unit 70. 1) BONE SNAKE that attacks you with C02. 2) Bone Warrior that you walk under while it tries to kill you. 3) Suspended Bridge that moves in all directions. 4) Flying Rig for actor overhead. 5) A giant animated facade... yeah you got that right the SKULL facade will come to life. 6) Light Show... yeah for the first time we'll program the lighting and the sound over 100 skulls will light up, sound fx, and more. Okay that is ONLY ONE ROOM FOLKS... its the biggest room in the darkness and it will now be the most detailed and coolest. 5) Darkness Upstairs: Same thing as downstairs we're programming an entire room, the lights, sound, everything. We're gutting an old sewer hallway and now it will be turned into an extension of the room before with crosses that hang everywhere tha light up. Inside this room will be two animations, and several static figures plus one actor. 6) Darkness Upstairs 2: We're having an exorcist scene created for our tired bedroom so a room will get an upgrade. This is DARKNESS ONLY! There will be a behind the scenes tour, where you can take photos and video. This will happen on Thursday 7-9 limited to 350 people. Friday we'll open the new Lemp and Darkness Saturday with actors. Lemp will be limited to the first 600 guests. Darkness will be limited to the first 800 guests. Last year it sold out. Everything and we did NOT add more tickets. TIckets will be cheaper if you order in January. LEMP I can give you more details on this in a couple weeks. Our goal right now is to get Darkness going. We're going to add several new scenes to Lemp and FX. Everything is already ordered. More details to come. 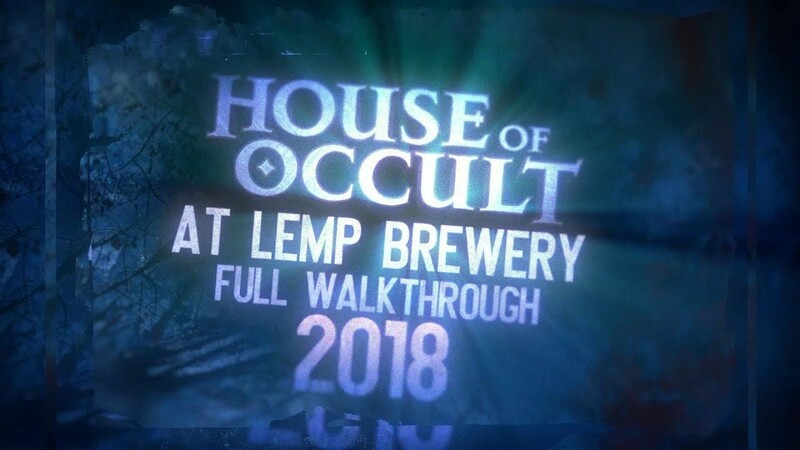 We do NOT plan on opening Lemp again after this tour. This will be the last time I think ever. As for Darkness we'll open Darkness again in 2020 with Creepyworld. But 2020 will be our last tour. I'm tired of doing them. I wanted to end tours by opening Creepyworld last year, that wasn't possible so I did figure out HOW to do it... and after one more SUMMER of working on it we will open. 2020 is it... we're going out with CREEPYWORLD. PS: I WANT TO MENTION PICTURES WILL START of The Darkness renovation AFTER Thanksgiving. Renovation pics will start with the Pirates Curse Escape, Darkness 2nd, and Lemp last. I wanted to also mention that you guys loved our Spider Clown animation last year we had made, so this year at Darkness you are going to see Unit 70 products only on the tour.